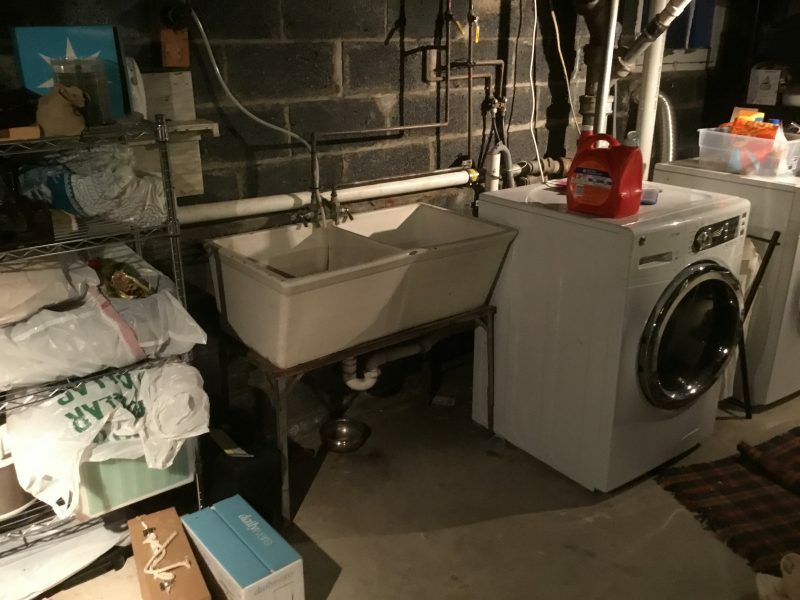 The unfinished basement of this Chatham, NJ home was used for laundry and storage. 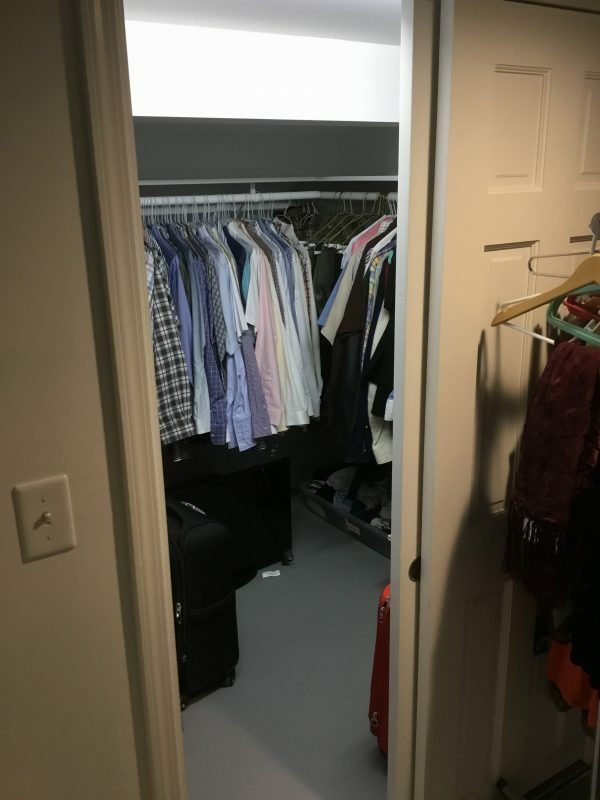 The homeowners wanted to improve the function and appearance of the space, as well as to create a cozy den area. 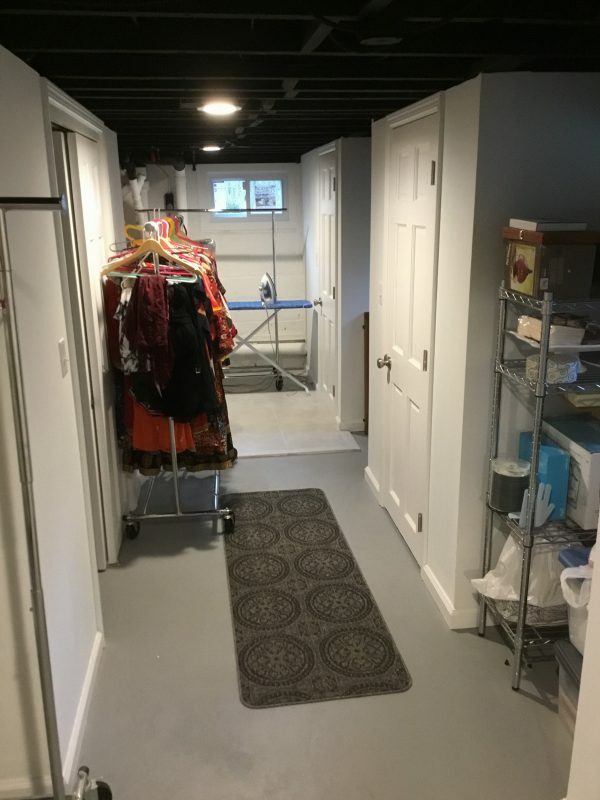 After the basement was cleared out, we began by sealing the entire floor with epoxy. Besides making the floors look better, it also makes them easier to clean. We installed new energy efficient windows to improve energy costs and lower draughts. Carpenters put up the sheetrock to create 5 new closets. Three will be used for storage, which is primarily off-season clothing. 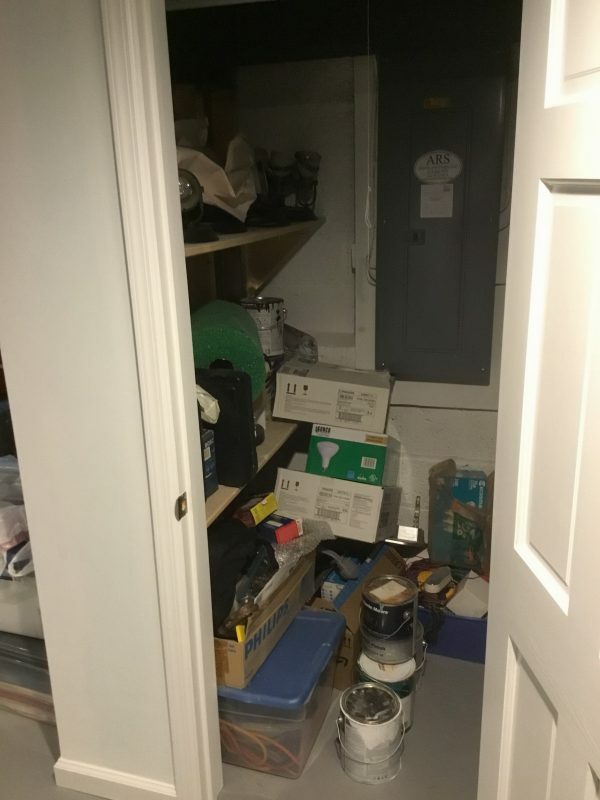 The other two are utility closets. 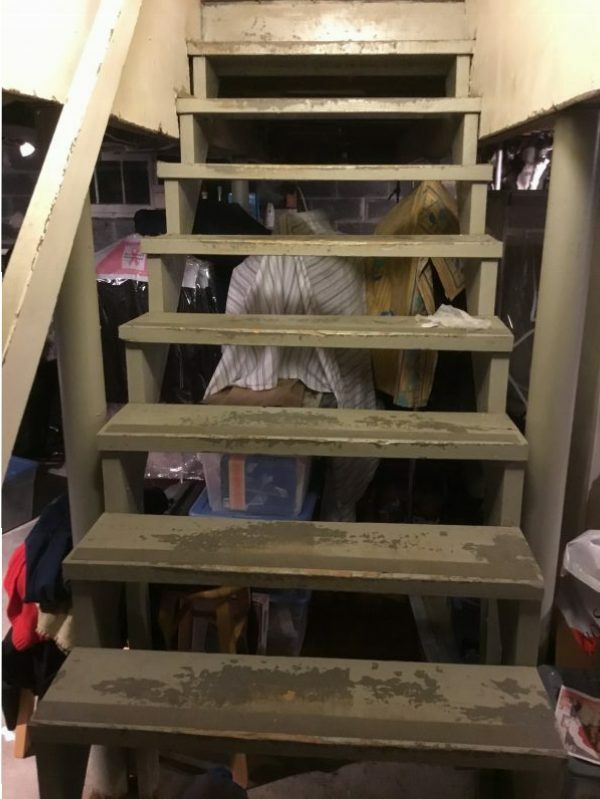 We also closed off the stairs for safety. Base trim and interior doors were installed. 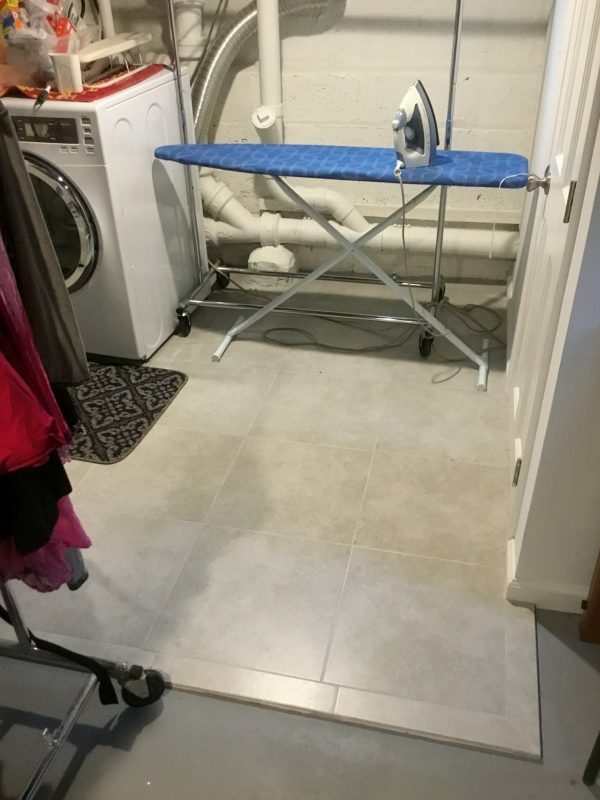 Moving into the laundry area, we laid tile to create a small platform. A new utility sink was installed. 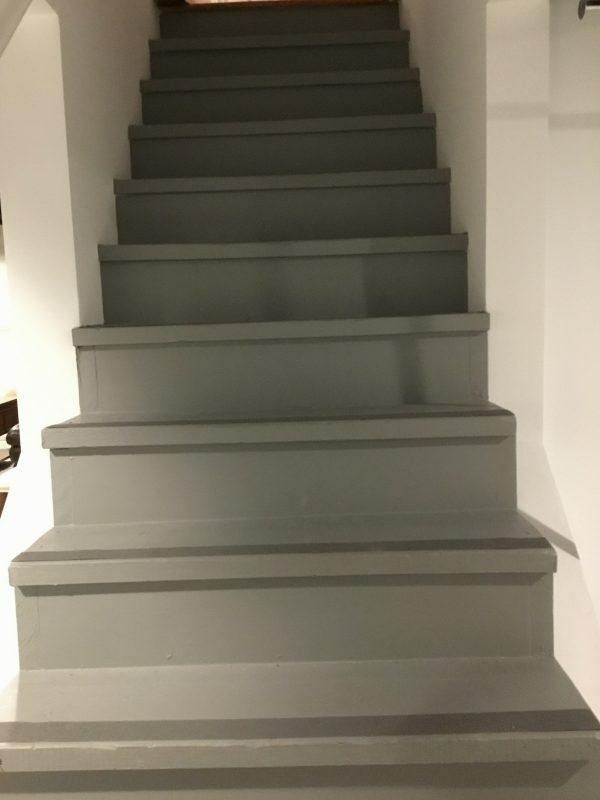 The entire area was painted. The walls, which included the sheetrock as well as the existing cinderblock, was painted a soft white. This also included any piping or ductwork along the walls. The “ceiling” was also painted. The ductwork and any piping was painted black. This allowed for a clean look, but also was very practical. 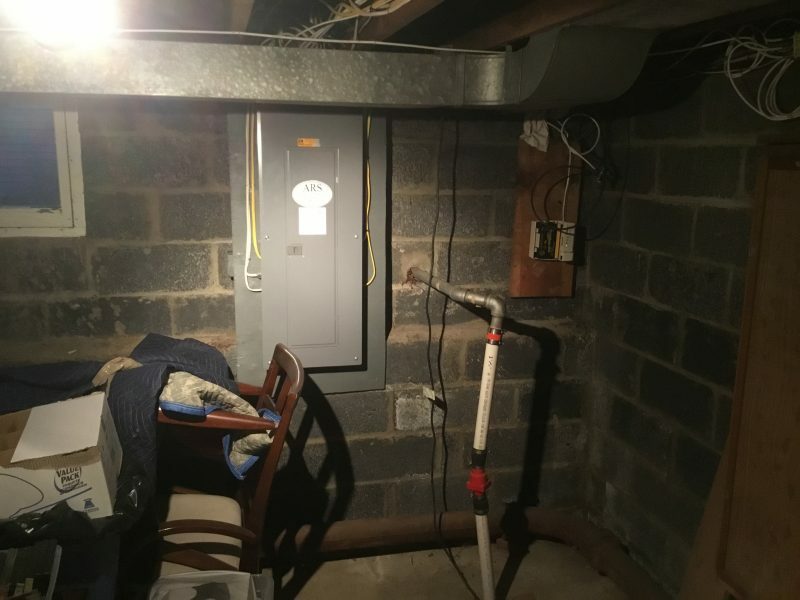 Firstly, all ductwork and piping is still entirely accessible for repairs or troubleshooting. Additionally, we didn’t need to block in the ceiling which would have lowered the ceiling height slightly. 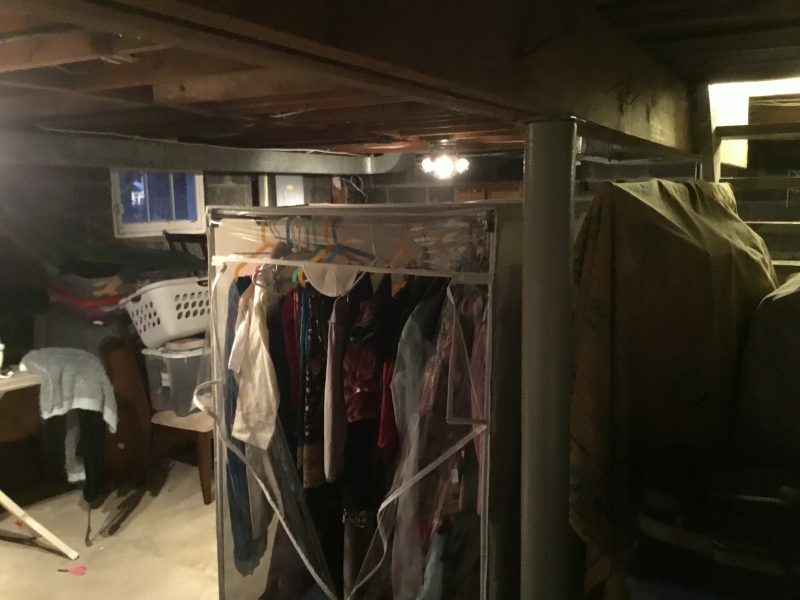 Without the cost of a full basement finishing, these homeowners are now able to make better use of their basement space. 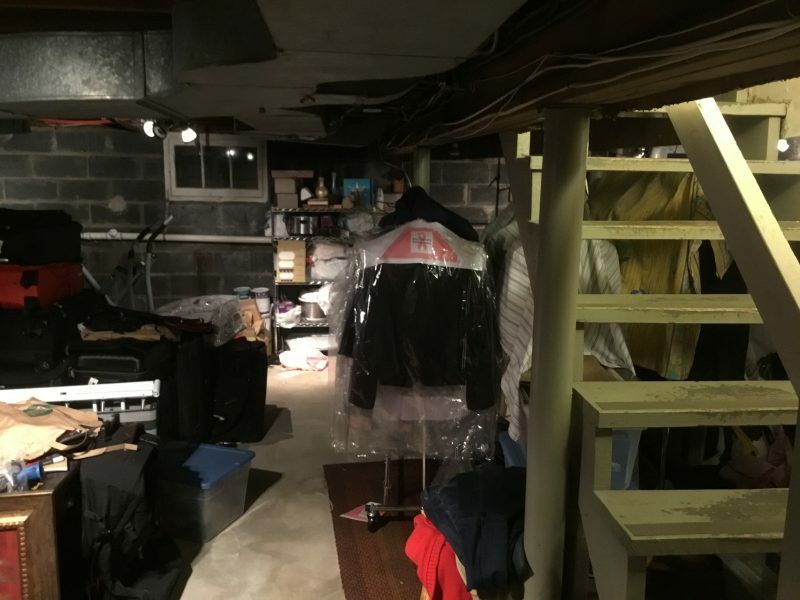 If you are considering a basement renovation please give Monk’s a call. 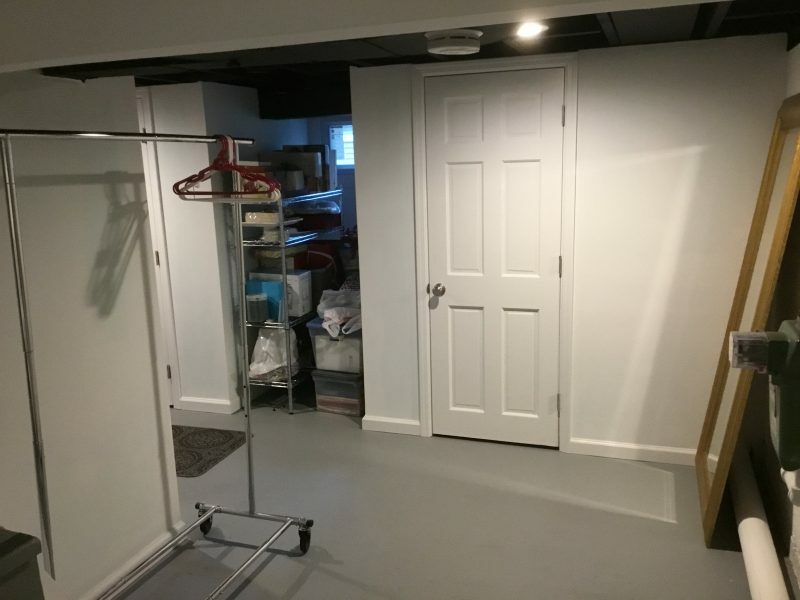 From epoxy floor painting to a full basement finishing project and everything in between, we can handle it all. 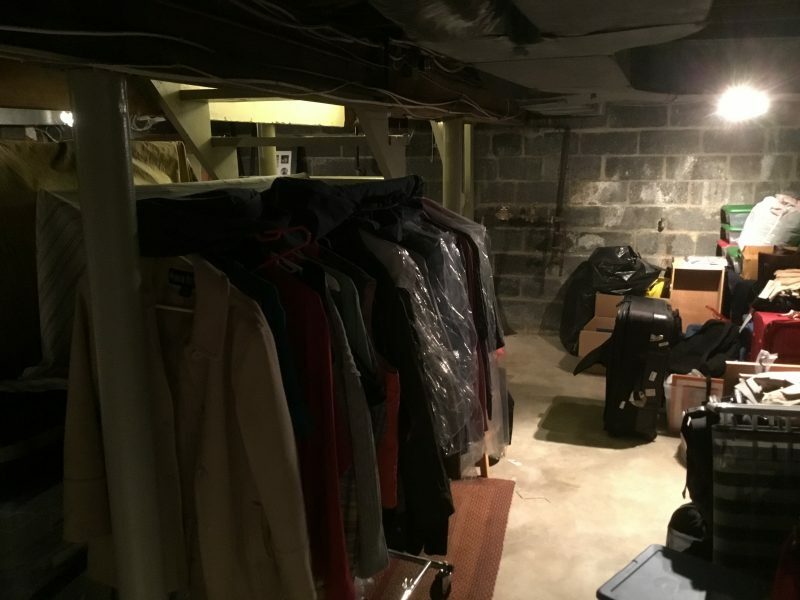 For more basement projects, see our basement gallery. Call 973-635-7900 to schedule your appointment for a free estimate.